It was a New Year’s Eve celebration that Mary McGraw '17 will never forget. Instead of loud music and dazzling décor, McGraw was surrounded by classical music and votive candles. There were no shimmering streamers or confetti balloons at this party. There wasn’t even a countdown, because bedtime was at 8 p.m. McGraw was ringing in the new year with eight Benedictine nuns at Kylemore Abbey in Galway, Ireland. This intimate moment isn’t something that most study abroad students get to experience while in Ireland. In fact, most people will never know what it’s like to see these nuns behind closed doors. It took several months in Kylemore for McGraw to develop trust with the nuns and, ultimately, a relationship that allowed her to gain a unique perspective into their everyday lives. A studio art major with a photography concentration, McGraw was able to pull back the curtains and capture even more intimate moments through her camera lens — a project that led to her senior thesis. “This was truly a magical experience and I’m beyond grateful that the Benedictine community allowed me to share their lives with the world,” she said. Growing up in a traditional Irish and Catholic family, the California native was always fascinated by Ireland. 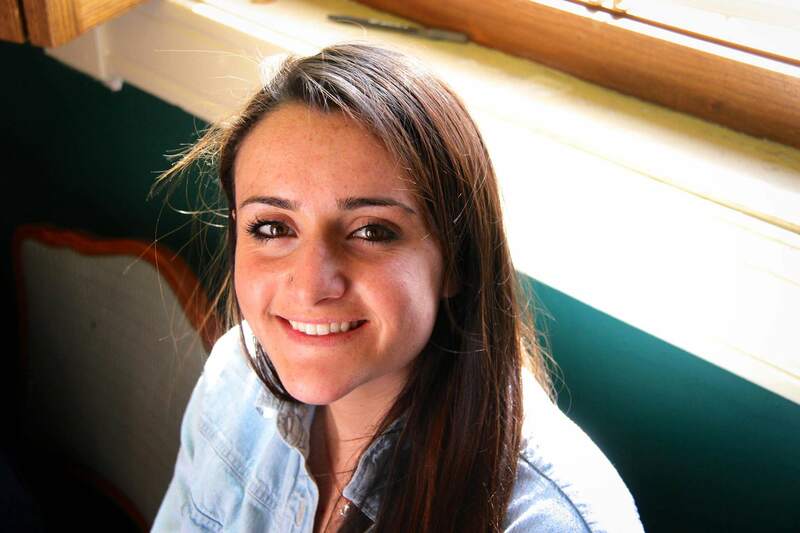 During her sophomore year at Notre Dame, she applied to the Inside Track program, spending time at both the Dublin Global Gateway and Kylemore Abbey Global Centre. 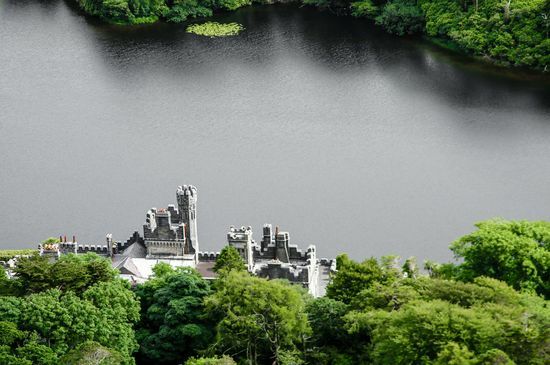 As an artist, she was drawn to the landscape and the story behind the Kylemore castle. “I found myself in the midst of contemplative life, emphasized by the mountain range that surrounds the Abbey on all sides,” says McGraw. While the weather was intriguing, McGraw felt very drawn to the Benedictine nuns and their story. She wanted to know more about their everyday lives, not just the life that most people picture. She would get that opportunity in summer 2016 while interning at the Kylemore Abbey Global Centre. Over the summer months, she spent a lot of time doing research and continuing to gain the trust of the nuns. She started shadowing them on their daily routines. They did everything from working in the chocolate factory or soapery to inspecting different aspects of the building that needed repairs or doing administrative work. While they did pray several times a day, she found that most of their time was full of routine tasks. She made sure to capture those moments on camera, as she believed it told a more accurate and realistic story. It wasn’t long before McGraw realized the platform was her photographs. For her senior thesis, she displayed a compilation of photos documenting the life and work of eight Benedictine nuns at Kylemore Abbey. The eight Benedictine nuns were all over the age of 60 and serve as a reminder of a rapidly dwindling lifestyle, she said. While the nuns are traditional in the sense that they wear black habits and pray at least four times a day, they also own their businesses and they’re in charge of sustaining themselves. It’s how they carried through with this work that impressed McGraw the most. “You can be your own person and an individual, while still being a part of a larger community,” she said. For McGraw, this project was part of a bigger calling. She wanted to combine her identity as an Irish Catholic woman to her vocation as an artist. The final photo exhibit was her attempt to bring it all together seamlessly. Seven photos were hand-framed and hung up at the Snite Museum of Art in April 2017. She received several awards for her work in Kylemore, including the Judith A. Wrappe Memorial Award. She also put together a book, Ear of the Heart, Eye of the Soul, which was given to every guest who attended the grand opening gala of Notre Dame International's Kylemore Abbey Global Centre and is still on display today. She also formally presented her thesis to the Notre Dame undergraduate students who studied abroad in Ireland over the fall, spring, and summer of 2017 and 2018. McGraw says her work isn’t done just yet. She plans on making the trip to Kylemore often to become even more immersed in their lifestyle. This fall, she will begin a master’s program in Galway, just a short drive from Kylemore. She hopes to use her skills as an artist to continue the narrative that she started as a curious undergraduate three years ago. 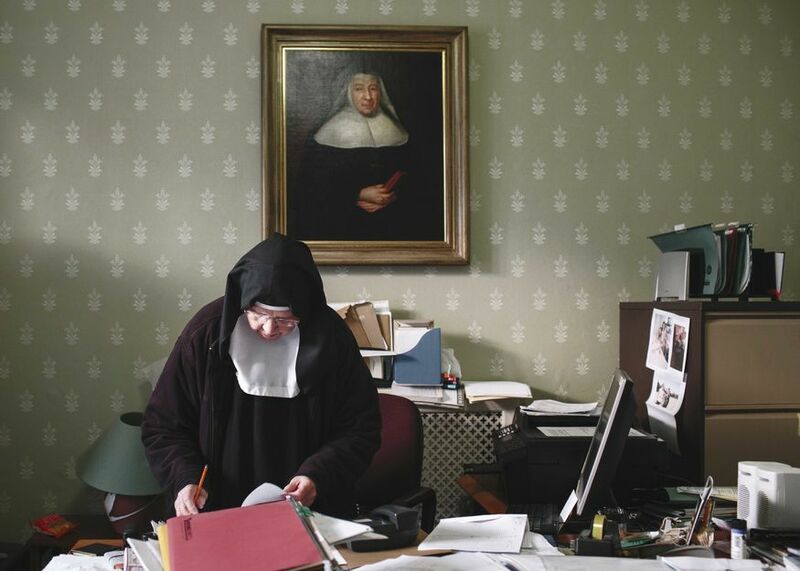 View McGraw’s photo documentary featuring Benedictine nuns at Kylemore Abbey.